Today is also just a normal work day. Hello Games’ No Man’s Sky has been released for the PlayStation 4 and the early reviews from critics are somewhat positive thus far. The reality is that since the day one patch changed the game so much, there are plenty of critics still playing the game to properly experience everything. 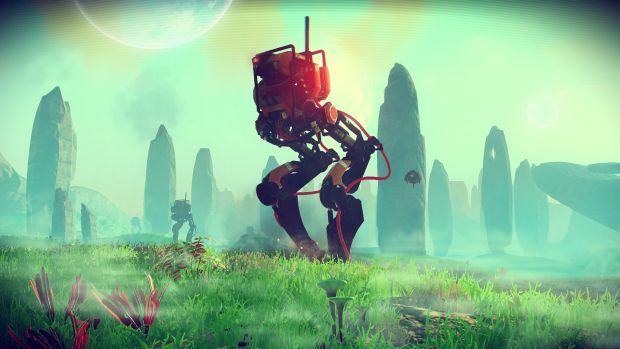 Despite the release, Hello Games isn’t relaxing. According to co-founder Sean Murray in a recent Reddit AMA, the PC build is still being worked on in anticipation of its August 12th release. “The reality is that we’re still here working on it right now. There’s no conspiracy, we’re just racing to get all the extra options and stuff we want. What are your thoughts on No Man’s Sky thus far for the PS4? Let us know in the comments below and stay tuned for more information.